Reward your loyal customers or create a special holiday promotion by generating discount codes. You can add as many discount codes as you wish. First of all you need to name your discount code. Fill in the Title field with the desired title (for ex. Christmas discounts). 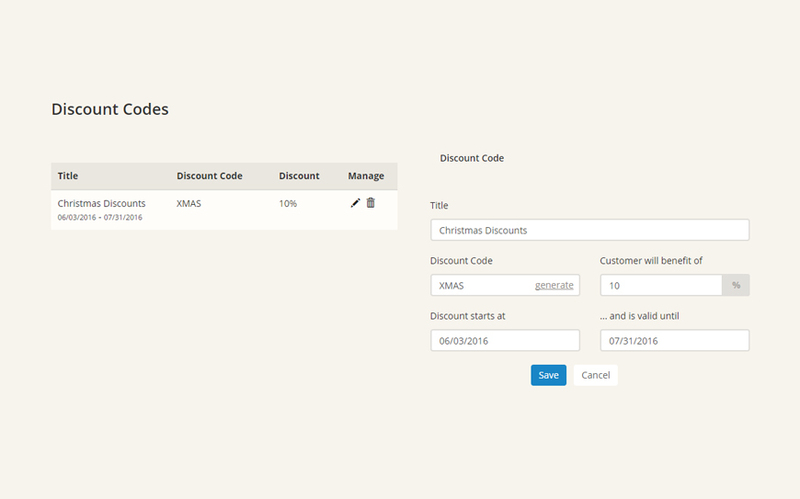 Add the code which you customers will enter at the checkout form. If you don’t know what kind of code to use, simply generate one by clicking the Generate link. Set the time interval for the availability of the discount code by selecting a start date and an end date.